Downey Daily Photos: As sick as a dog...doggy paddle...one sick puppy...you choose! As sick as a dog...doggy paddle...one sick puppy...you choose! 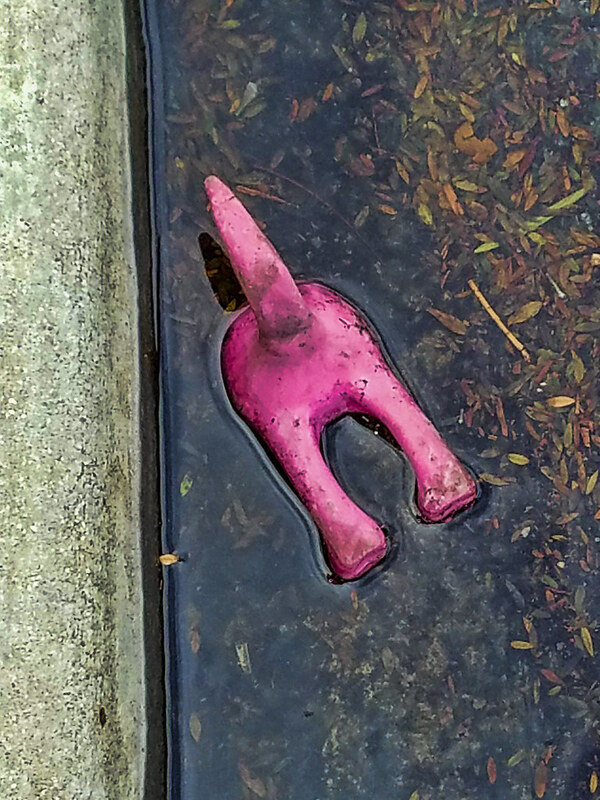 I'm not sure what this dog was doing in the gutter, but he did not look good. I came across him on a walk recently and it was such an odd sight, I had to take his picture. There are a lot of dog phrases that could relate to this image and I had a tough time deciding which to use, so I kind of used them all. I guess I could end this with "Let sleeping dogs lie..." He is definitely not a lucky dog. Okay, I'm going to stop now.